imageMEDIA provides high-quality, full-color printing, direct mail marketing and digital advertising services in North Carolina — Postcards, Posters, Brochures, Business Cards and more! imageMEDIA is located in Tarpon Springs, a thriving community on the west coast of Florida known for it’s rich history in sponge diving. This convenient central Florida location makes us the perfect choice for your North Carolina printing, direct mail and digital advertising needs. Your North Carolina Local Printer: You are just a call or a click away from high quality, great value and friendly service for your North Carolina printing needs. For postcard printing, business card printing, brochure printing and all your printing needs, our online tools, close shipping proximity and mailing services makes imageMEDIA your choice above North Carolina printers. Our friendly customer service team can assist you with any facet of your North Carolina printing project and our prices allow you to stretch your budget. When you need quality, value and service, imageMEDIA is the choice for printing in NC. Another way that imageMEDIA is working to be your NC Print Shop is through our online design tools. Getting a great design for you North Carolina printing can often be the toughest part of the process. To help you overcome this hurdle, we have made freeonline design tools for your postcard printing and business card printing needs. Create the design you need in the timeframe you need it without have to spend a penny. And for brochure printing, business card printing, greeting card printing, letterhead printing, newsletter printing, postcard printing and poster printing we offer pre-designed templates. This is a quick and affordable way to get a great custom design for your North Carolina printing job. Just make your selection from our large, categorized inventory of templates, let us know your information and any special design instructions and you will quickly have a great design to use for your printing campaign. Our online proofing systems allows you ensure that the design you want is the design you get. Approve the proof or let us know what needs to be changed. Our talented in-house design staff will quickly have the artwork and you will quickly have your printed pieces. And if you need something different, work with our designers to produce your design vision. Whether you are in Charlotte, Raleigh, Greensboro, Durham or anywhere in North Carolina, direct mail marketing may be the key to success for your North Carolina business. 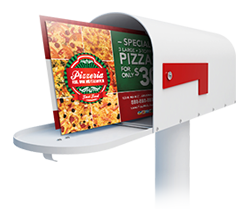 Direct mail marketing is an affordable and cost effective way to promote your business or organization. For your North Carolina printing and mailing campaign, imageMEDIA offers the services and tools that you need for success. You can start with our imageMEDIA Direct Mail Return on Investment Calculator that lets you see all the factors that contribute to the costs and profit of your campaign. Experiment by changing quantities, response rates, your average offering price and more to instantly see the impact on your bottom line. Easily save and share your results and even start your campaign. Once you have planned your campaign, imageMEDIA is here to help you at every step. In addition to the previously mentioned artwork design services, we can also help you design the perfect list for your North Carolina printing and mailing campaign. Choose from the type of list member and their location to create a target list for your promotion. We also help you best utilize your marketing dollar. With our tools, you can schedule multiple mail drops per campaign. This enables you to minimize your per piece cost by printing at the best quantity discount levels and then control mailing costs by scheduling them over time. Contact one of our mail specialists to find out how we can specifically help you and your organization get the most out of your budget for the most successful North Carolina printing and mailing campaign. imageMEDIA works to make your North Carolina printing campaigns as successful as possible. Our friendly staff are here to assist you and we are constantly improving and creating tools that allow you to get the most for your time and budget. Choose imageMEDIA to get the most when you need printing in North Carolina. In addition to printing and direct mail marketing, imageMEDIA can help you reach more North Carolina customers with local digital advertising and online banner ads. 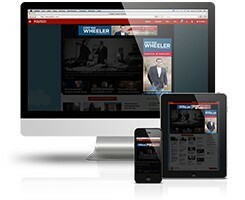 Now your business can deliver affordable North Carolina digital advertising to customers on premium websites like Fox News, ESPN, Facebook and more — on any device. Nurture interest with retargeting and deliver online banner ads to customers that have visited your website. Reach new customers in North Carolina online with digital advertising by targeting interests and demographics using the same data as Fortune 500 companies. People walk out to their mailbox and spend countless hours online every day. We make sure you never miss an opportunity to reach new customers by delivering your North Carolina direct mail marketing and local digital advertising to the right customer at just the right time. Contact us and learn more about why imageMedia is the perfect partner for all of your local North Carolina printing, direct mail and digital advertising needs. Complete the form below and download a free marketing toolkit that includes printing, direct mail and digital ad design samples, information about imageMEDIA and some great ideas to help you reach new North Carolina customers and grow your business. Available for download instantly!